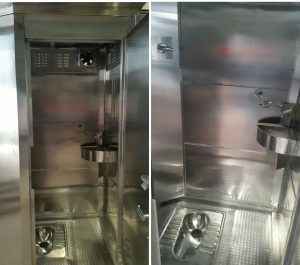 Garv Toilets began in 2015, with an idea developed by founder Mayank Midha to adapt the superstructures (i.e, the extension built above the foundation) of telecom products to create an indestructible portable toilet. The crux of Garv’s aim was to create a public toilet that could maintain itself, was widely available and environmentally friendly. Ultimately, Garv works to generate a sustainable sanitation solution that could end open defecation and it’s pursuant consequences. 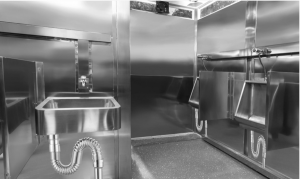 The research, prototype and design phase of about eight months produced a toilet with a stainless steel superstructure, body and fittings. Since the launch of these toilets in 2016, Garv has overseen over 198 installations across India and Bhutan. 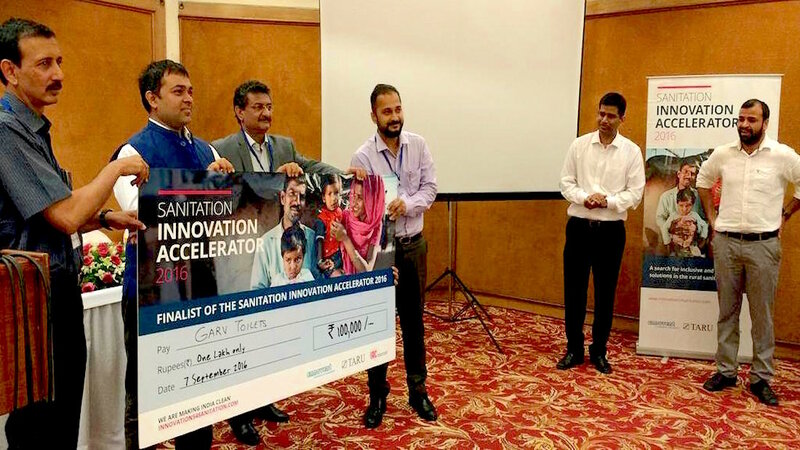 It has won a number of accolades along the way, including at the Sanitation Innovation Accelerator 2016 organised by Ennovent, IRC Leading Edge and TARU. Garv currently focuses on forming public-private partnerships with local governments in India’s urban and semi-urban areas. So far, it has installations in Haryana and Maharashtra, which are among the India’s most economically developed states, and Madhya Pradesh, the second largest state by area. Interestingly, in the Kurukshetra district of Haryana, the local government has asked Garv for a proposal to install toilets in its larger villages. With populations of 10-15,000, these villages are a small fraction of the size of even the smallest urban areas Garv works in- which range upwards from 500,000. The mandate, if passed, will require Garv to not only install and maintain the toilets, but also manage the local community service centres. These are essentially public kiosks that help people with tasks like opening bank accounts, transferring money and recharging mobiles as well as satellite television. Therefore these hubs would not only improve sanitation for rural communities, but also ease their lives in other significant ways. As any new organisation working in the government space, Garv Toilets too has had its share of challenges related to graft and payment delays and hence is largely focuses on forging public-private partnerships. The company is particularly interested in patient equity provided by impact investors who are happy to stay invested for at least 5-6 years, as opposed to more short term investments. However, it remains open to exploring partnerships with NGOs and CSR organisations, and is currently conducting a pilot in government schools of Patna with the Aga Khan Foundation. Garv’s toilets are highly durable – they are created to address the issues of vandalism and maintenance, two of the most rampant challenges facing public sanitation in India. An important aspect of Garv’s product is the integration of newer technology into its design. Auto-flush sensors are activated before and after each use, and radio frequency and IoT sensors provide real-time updates on usage and any malfunctioning. These updates are sent to a dashboard, which can be constantly monitored from a remote location. One of the organisation’s biggest challenges has been generating interest and support from the government. Garv’s solutions are generally more attractive to a new breed of dynamic government servants, who are open-minded about new ways to tackle age-old sanitation problems. By illustrating the benefits and successes of their existing installations, Garv is working to change mindsets among more municipal bodies. The organisation has witnessed an increase in willingness to adopt new innovations in product design and technology since it helps them meet delayed targets and aligns with the Swachh Bharat Mission. The Mission is a nation-wide government programme launched in 2014 to clean the roads and streets of India’s towns and cities. There is also a growing realisation that there is a need for alternative, scalable models for improving public sanitation that are also resource-effective. Garv is not alone in its fight to improve public sanitation. However, it’s technology, manufacturing and innovative design has allowed it to reduce the cost of toilets, undercutting a number of it’s competitors and carving a niche for itself in the public sanitation space. Another feature of Garv’s model is limited water usage, which makes it adaptable to water-scarce areas. 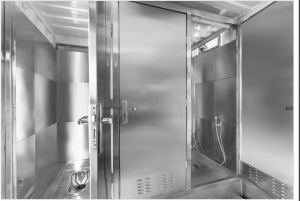 By using stainless steel for the structure and fittings, the installations use less water for both flushing and floor cleaning. This, combined with the slope and gradients worked into the design, means that Garv’s toilets actually consume about a quarter as much water as a modern ceramic flush toilet. The facility is also larger than the average competitor’s and is fitted with solar panels and LED lights, which make it ecological and energy-effective. Garv also works to ensure high build quality and offers a range of customisations that improve user experience. Through the Toilet Board Coalition, Garv has also partnered with Genzler, one of the world’s leading architecture design firms, to redesign its toilets to be more ergonomic and people-friendly. One of their on-going initiatives is to build a model for people with disability that meets international standards. Garv’s current focus is on scaling up, particularly through public-private partnerships and patient equity. It is also looking to work in Ghana and Nigeria, whose environment ministries have shown interest in its work. Garv will also begin a pilot programme in Ghana this May through the Via Water Challenge. As it rolls out its installations in Ghana, Garv also looks to expand into other West African countries where there is a further market opportunity. The organisation is also working with Ennovent to explore possible partnerships with the Bhutanese government. Mayank Midha has a background in rural management. He graduated from IRMA in 2009 and then moved into manufacturing. He soon developed an inclination towards developing hardware products that could benefit underserved communities at large. Mayank initially began designing equipment for agricultural use and later focussed on solar energy products. 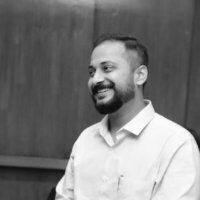 But the shared Indian experience of being exposed to open defecation, urination on long road and train journeys, without any access to public sanitation- especially for women, led Mayank to the decision that something had to change. Garv Toilets is his answer, and we are excited to see what is in store for this inspiring and determined venture.